Election Day is still more than a year away, but Illinois Republican Bruce Rauner is already deploying a popular campaign weapon: the barn jacket. But Rauner is just the latest politician to deploy the barn jacket as a campaign fashion accessory in an effort to appeal to the common folk. As candidates budget their multimillion-dollar campaigns, $95 on a Men’s Sandstone Chore Coat by Carhartt may be the best investment they will ever make. Former Sen. Scott P. Brown, R-Mass., may have the most famous use of the jacket during his 2010 special-election victory to take over the late-Sen. Ted Kennedy’s seat. Brown’s adviser even suggested that the jacket hang in the Smithsonian next to the Spirit of St. Louis. Democratic Senatorial Campaign Committee Chairman Michael Bennet of Colorado used the barn jacket successfully in his initial run in 2010 after he was appointed. For other candidates, the jacket hasn’t provide the insulation they needed from other attacks. In 2004, Sen. John Kerry wore a barn jacket while hunting in his failed presidential bid. And in 2008, Alaska Gov. 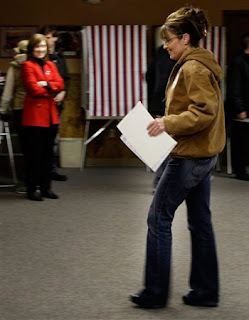 Sarah Palin wore the female version, but it wasn’t enough to make independent voters warm up to the GOP ticket. In late 2011, Texas Gov. Rick Perry unleashed the barn jacket on potential Iowa caucus-goers. He finished fifth with 10 percent. In 2010, the barn jacket wasn’t enough to get Republican Buz Mills to the gubernatorial primary in Arizona.